This new edition, written by a recognized pioneer in canine and feline oncology and end-of-life care, provides a complete clinical approach to the most common neoplasias in geriatric dogs and cats. Emphasizing the human-animal bond, the book features numerous vignettes and case studies to bring the clinical realities to life. 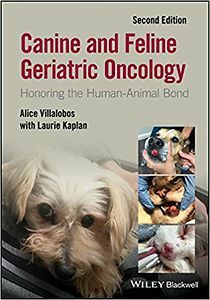 Canine and Feline Geriatric Oncology: Honoring the Human-Animal Bond, Second Edition helps practitioners and their staffs to understand and fully address the special needs of geriatric pets in cancer care and their owners. 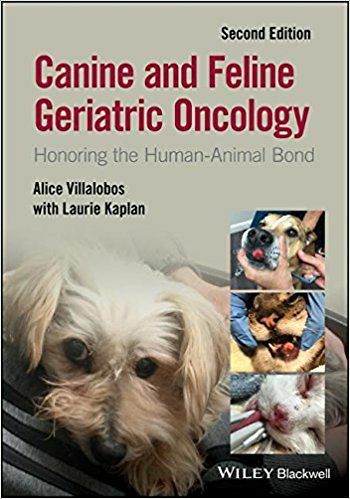 Canine and Feline Geriatric Oncology is an indispensable reference for practicing veterinarians, technicians, hospital staff, and professionals involved in supportive counseling for pet carers.